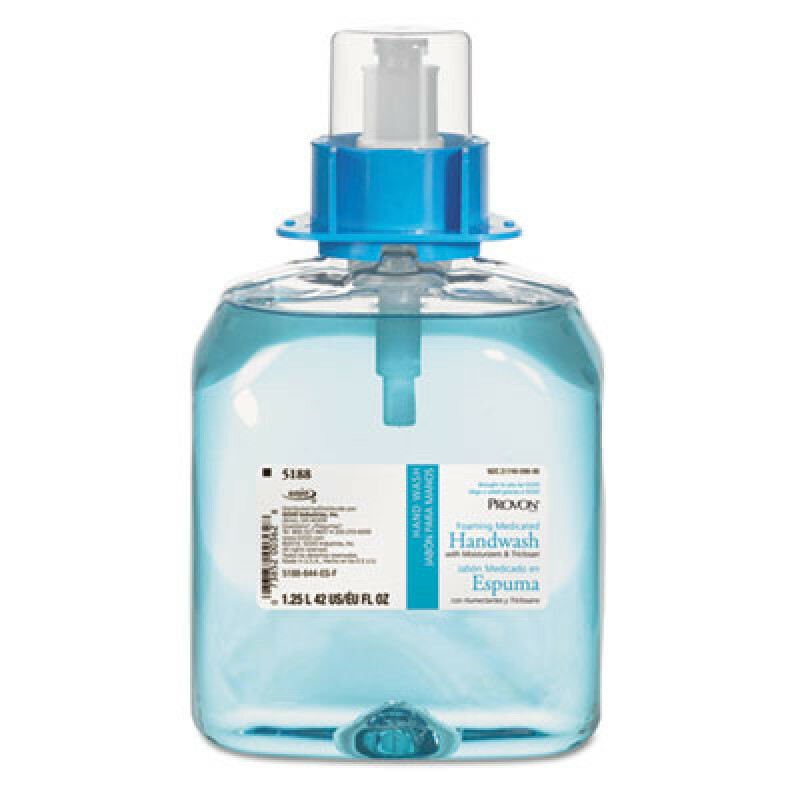 Refill for FMX-12 Dispenser (GOJO 5160-06, sold separately). Help protect yourself from harmful germs. This medicated handwash utilizes a highly effective antimicrobial formula capable of killing the most common germs that may cause disease. Contains 0.3% Triclosan. After cleansing, the handwash leaves you with a light floral fragrance. Soap Type: Foam; Application: Hand; Capacity (Volume): 1250 mL; Scent: Floral. Customers who were interested in the PROVON Foaming Medicated Handwash W/moisturizer Floral Blue were also interested in the following items. This is a review for the PROVON Foaming Medicated Handwash W/moisturizer Floral Blue.